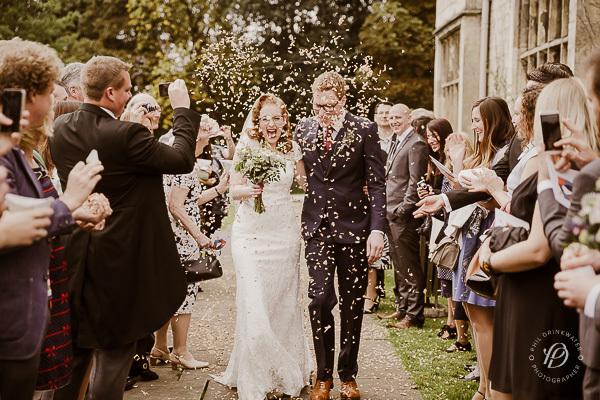 All this week I’m sharing snippets from my wedding with tips and advice for planning, finding suppliers, setting up and creating a day you’ll remember forever. 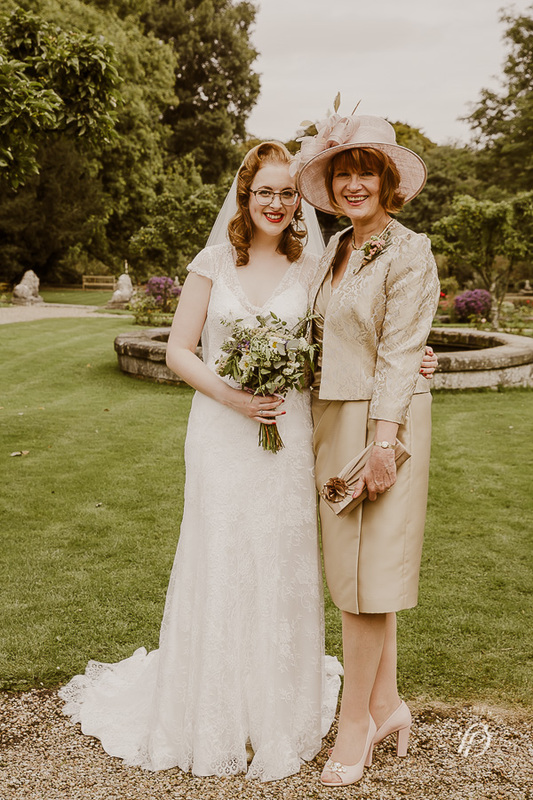 On September 21st 2013, I got married. Woo hoo! 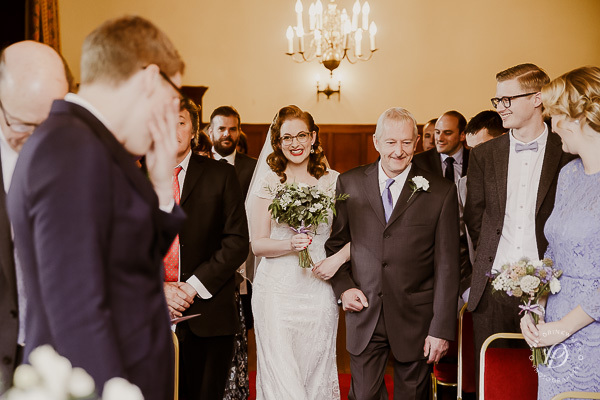 I thought quite a bit about sending the photos to a wedding blog, but in the end I decided I’d much rather share the day here, in my own way. 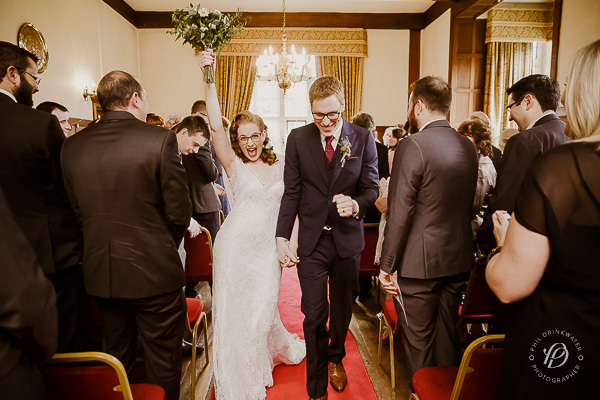 Over the next week I’ll be posting about the key parts of the day – what we wore (naturally), the venue, the photography, the styling, the food and the entertainment, finishing off with a little look at our honeymoon. There are many special moments I’ll keep for myself, but after a year of serious planning, I think our hard work deserves a bit of fanfare. To kick things off, we’re starting with The Ceremony. When we started planning our wedding, the ceremony was never really a big part of it. 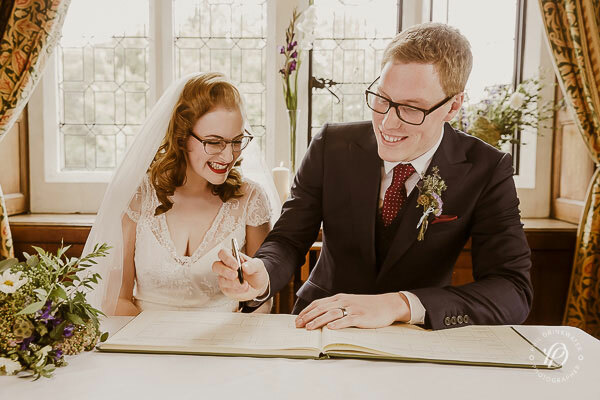 As soon as we decided to get married, we knew where we’d do it – Rob grew up in the most picturesque village in North Yorkshire, and it’s a place so dear to us there was no other option. 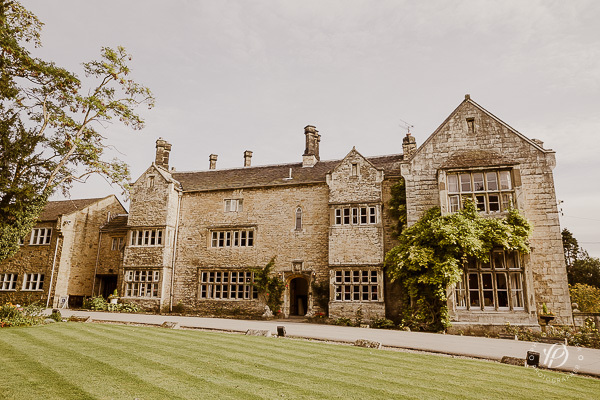 The reception venue was sorted (more on that later this week), and as we’re both non-religious there was really just one place we wanted for the ceremony – Monk Fryston Hall. 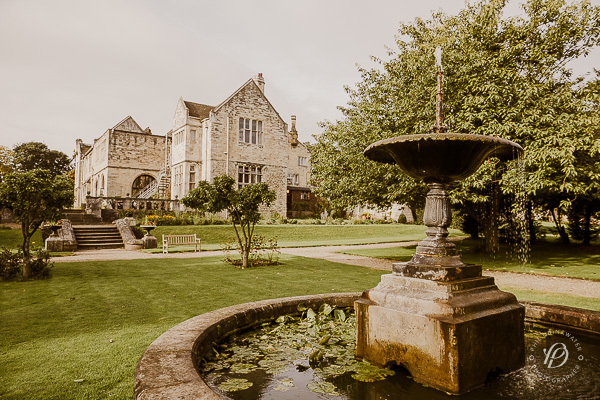 This beautiful building has been part of our lives for many years – my childhood home is 10 minutes away and this was the place we’d come for fancy meals and big celebrations. 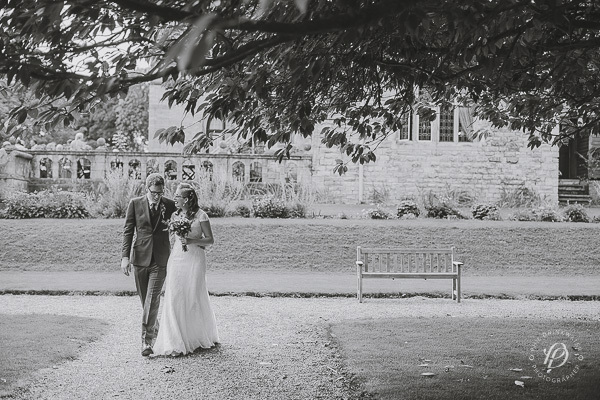 The former manor house dates back to the 12th Century, which fitted my vintage theme perfectly, and I knew the glorious grounds would make for stunning photos. 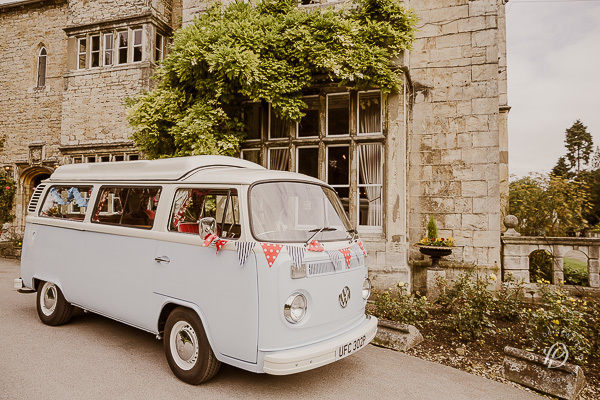 I was cosseted up at Monk Fryston Hall the night before the wedding, and was having my hair and makeup done when Rob and his groomsmen rolled up in this beauty. Her name is Fanny and she belongs to Rob’s parents’ next door neighbours and our wonderful friends, Julie and Steve. She was lovingly decorated for the event and eventually got going after a few false starts, some gear grinding and a couple of choice words. 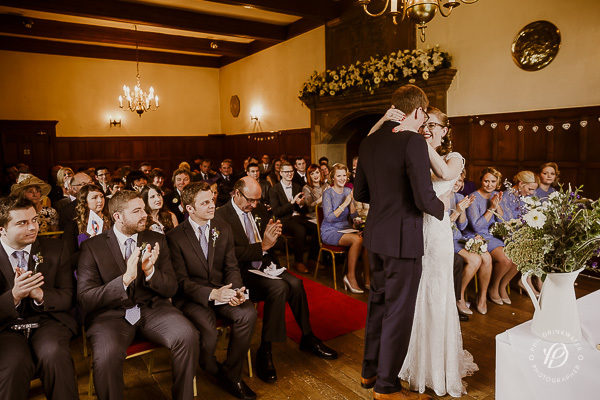 The ceremony was held in the Hatton Room, which holds about 70 people. It’s a truly beautiful space – all dark wood, original beams and red velvet. 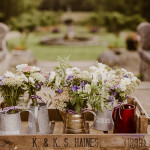 I was so entirely consumed by the decoration of our reception venue that I didn’t give much thought to the ceremony – luckily all this room needed was some flowers, some candles and a cheeky bit of bunting. I was really surprised by how beautiful and emotional the ceremony was. 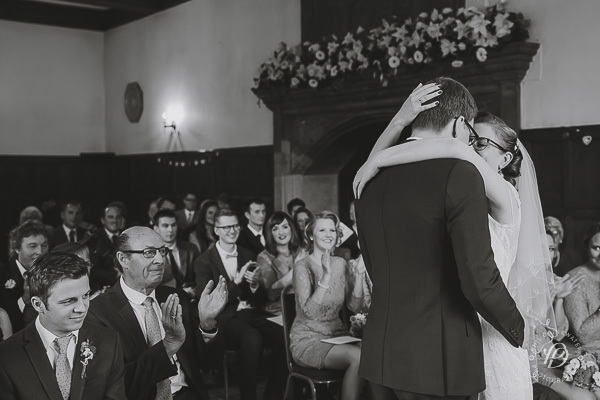 Rob and I have been together for 11 years so there was never any doubt that we’d do it, but standing up in front of all our loved ones and saying the actual words was bloody amazing. I had that Cheshire Cat grin the whole way through. One of the best things about our wedding was the personal touch that ran through the whole thing. 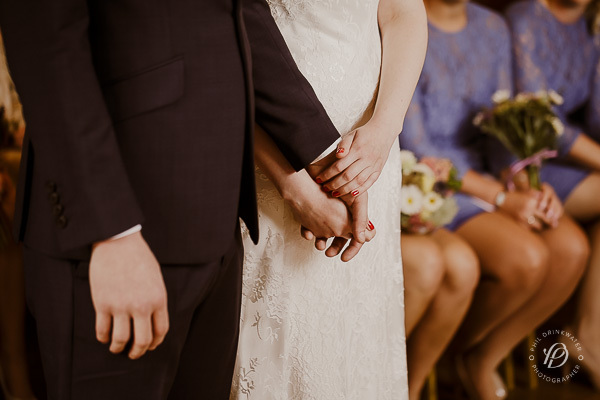 Not only did we host the whole day in a part of the world that means so much to us, but our family and friends were involved in each stage and all the people we love had a hand in making it so wonderful. 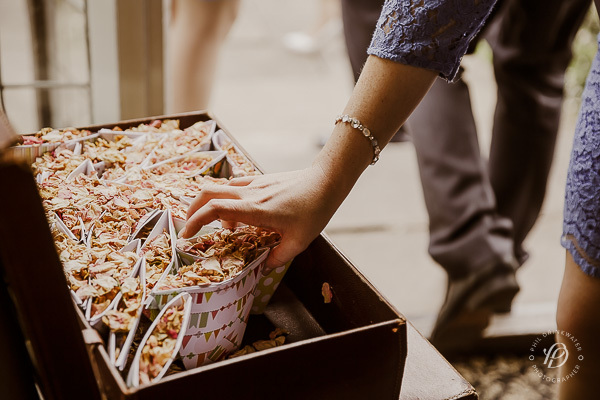 Take the confetti, for example – my mum and grandma spent an entire year collecting rose petals from their gardens and carefully drying them, ready for the big day. The final effect was absolutely beautiful, although I’m sure the sight of me fishing it out of my cleavage was not! 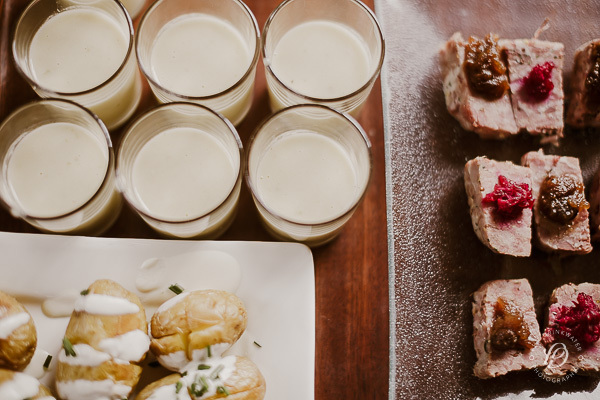 Everyone assures me the food at Monk Fryston Hall was delicious – with all the hugging and photo-taking I didn’t eat a single thing! After the ceremony we spent an hour or so outside in the grounds – after rain and chilly temperatures earlier in the week, the wedding day was sunny and warm. 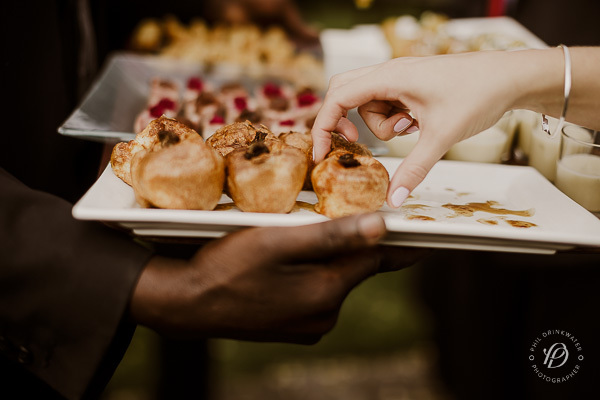 Perfect for wandering around with a mini Yorkshire pud! We didn’t want too many posed photos, but the spectacular backdrop called for a least a few key shots. This is me and my mum, clearly loving life right there. 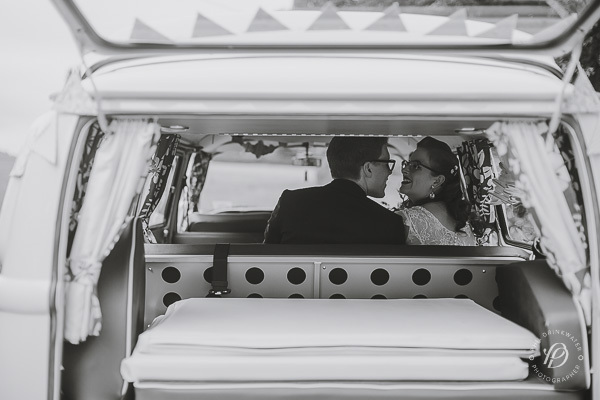 When the group shots were done, people started to drift off to the big vintage bus my mum hired, and were driven off to the ceremony venue. That gave Rob and I a bit of time on our own to relax, chat and take selfies. A few shots on the amazing bridge and we were off, whisked away in Fanny to the next part of our wedding day with a bottle of champagne and some cheese and pickle sandwiches for the ride. 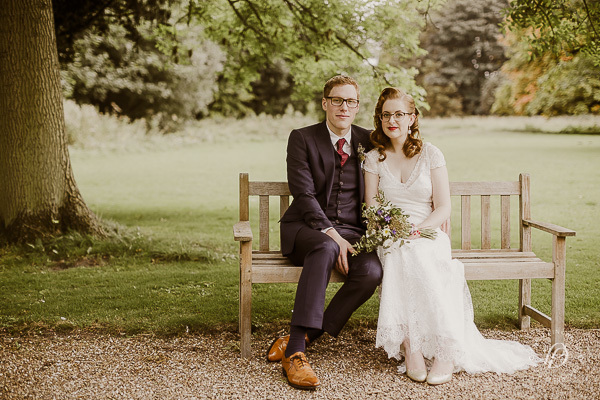 Wedding Week continues tomorrow when I’ll be sharing What We Wore. 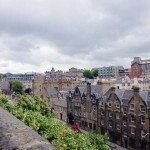 All photography by Phil Drinkwater. 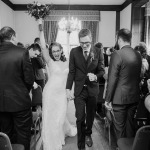 Ooh I have a feeling I’m going to really enjoy these posts – we’re getting married in January 2015 and I love reading about other people’s weddings. 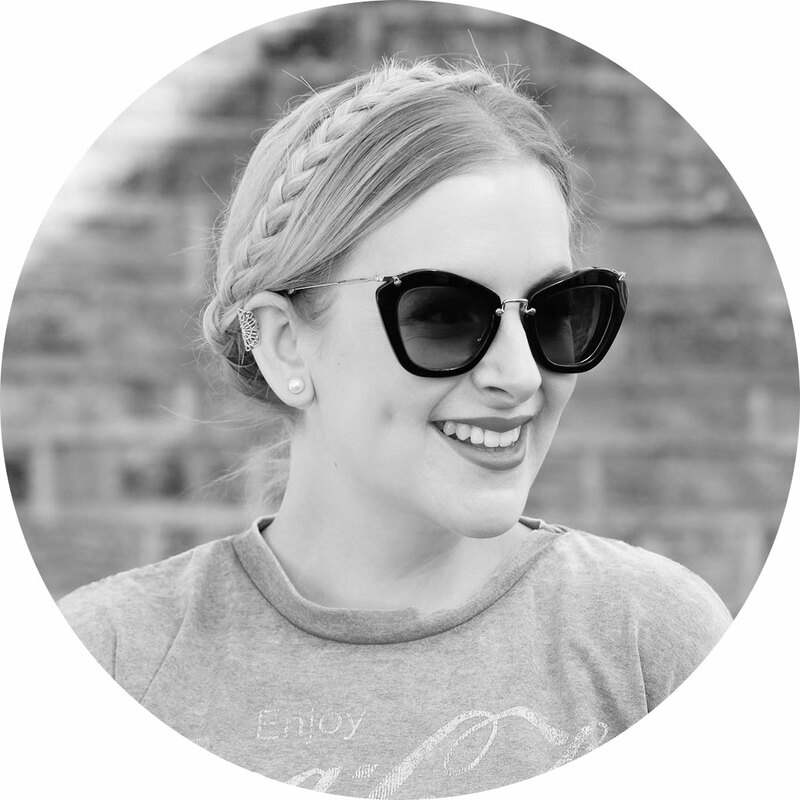 You look stunning – I love that you’re both spectacle wearers! Congrats! You and the whole wedding looks gorgeous! This is beautiful, the bit about collecting the rose petals got me all emotional! I must admit I already had a stalk of these pictures on fb etc, you look amazing and I love all the little detail. One day! so beautiful, i love that last photo! 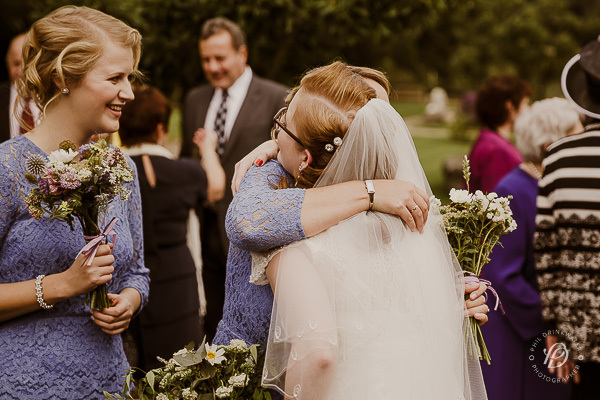 LOVELY pictures… you all looo so happy and i love the vintage feel of the whole event. well done & congrats !! 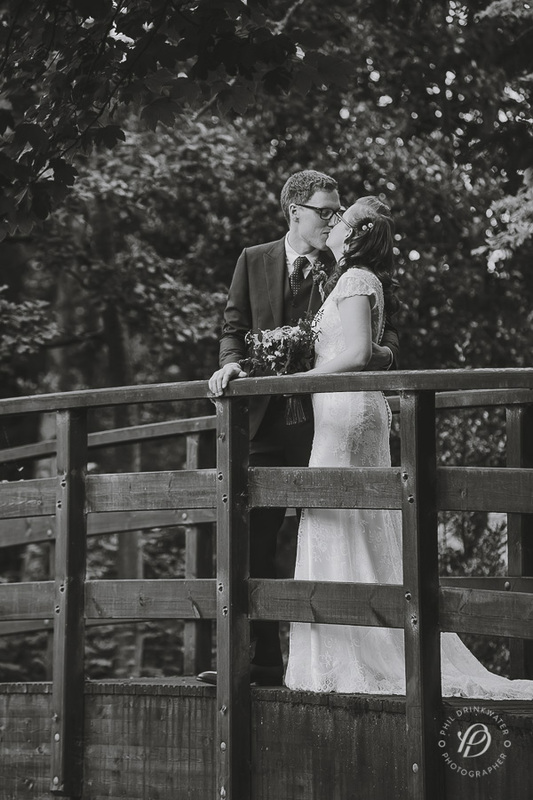 Beautiful photos – can’t wait to see the rest of this week’s wedding posts. The location/Fanny/the personal touches/decoration everything looked fairytale-esque! And you look stunning! LOVE the rose petals! I bet they smelled amazing! Oh my goodness Jen it looks just perfect! You look so so beautiful, it just looks like the most amazing day. Jen these photos are absolutely beautiful. You both look so happy and I’m glad you had the day you wanted and enjoyed it. All these photo’s are amazing, you looked beautiful! What an absolutely stunning venue! You look beyond thrilled, it’s so lovely!